I recently read something that scared me: “Fringe is likely to be cancelled.” The show might not be cancelled at all, but it’s dipping dangerously low when it comes to viewership. What I had to realize is that it doesn’t matter how good a show is, no matter the quality or the talent or even critical opinion etc, if no one is watching, the show is going away. And it’s really too bad for an awesome show such as Fringe or past shows like Arrested Development and Undercovers. Yes, I’m still crying about those shows. Sometimes you can tell from the premiere if a show is going to last. So many people wrote off The Cape after the pilot that by the second week you already knew it was doomed. I never did officially follow up on this show, so consider this it: it has been officially cancelled. Am I sad? No. Will I miss it? No. Did I even watch it? Barely. I continued to DVR the show, and would watch it with my parents… but the last few episodes it had been background noise. The last episode on TV I still haven’t watch and probably never will. (Ironically the same thing happened with Heroes.) There’s a final episode online that I also probably won’t watch. You know a show is in bad shape if they cut your 13 episode season to 10 episodes, then air the last one online. The other show I follow… and I say “follow” instead of “fan” because I’m not devoted to it… is No Ordinary Family. I like the show. It’s fun to watch. But there’s just something about it that’s not keeping me hooked like appointment television. Like Lost was for me and several others, American Idol for everyone except me, and Fringe has always been for me, those are shows that must be watched when their aired or ASAP. I was devoted to NOF in the beginning, but… the thrill is gone. It became another show that sat in the DVR, collecting digital dust. It’s not a good sign for a TV show just sitting in the DVR and you moan about watching it later. On the contrary, I actually have a few shows I’ve watched and saved to re-watch, or shows I just haven’t had time to watch yet but look forward to watching, and shows I like to build up so I have a few to watch like a marathon… like An Idiot Abroad. I said all that to say that The Event is coming back on tonight. I really want this show to work. Around the end of the first half of the season, I was losing interest. But I heard word that they’ve done some retooling of the show and NBC seems to have some faith in it by promoting it almost every other commercial break. 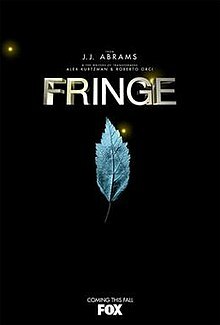 So with all the shows that are on the line (or the bubble) when it comes to May (or sooner), I’m pulling for Fringe and The Event to make it to the next season. A few of the shows are already dead or soon will be. So if I were to make a plea… please watch Fringe. It’s awesome entertainment. It needs viewers. Check out The Event tonight. I don’t know if it’ll be better or worse, but I’m always looking for some high quality scripted entertainment… so we shall see. Worst case scenario, if Fringe does get cancelled, I hope there’s a network out there willing to revive it. Please. Seriously, the show is really that good. It fills the void left open by Lost. Okay, I’m done now. The Event was gone so long, I was worried they were never coming back. I am glad they are back with a vengeance. Lance over at DailyActor dot com has a great interview with the actors… go check it out. I STILL haven’t watched it yet, but I will very soon. I read the ratings were horrible, but I hope they still get to finish their story for at least the rest of the season. I will also check out that interview.